Some of the best books on grief and bereavement are written by those who have suffered a great loss. Others are written by expert counsellors and psychiatrists. I have recommended some of the very best general books on journeying through grief for adults on this page. Then I have linked to our pages for grief books on more specialised areas such as, for widows, for grieving children or for parents who have lost children. Finally, there is a section for recommendations of books that readers have found helpful and you can also share with everyone if you have found a book particularly useful. Wondering why it's worth reading books on death and grief? Read my explanation of the benefits here. One of our most respected colleagues and expert in the field of grief, Marty Tousley, has rated this book as outstanding and we have to agree. "Grief is not the enemy. Grief can be one of our greatest teachers." It is easy to read and up to date with the most current research in the field of grief. But it is not a dry textbook, it is filled with wisdom and love, and inspires hope in those who read it allowing them to grow and achieve a richer life. Having been a nurse all my life, I know only too well how important it is to look after your health and it's never more so than when you are grieving. I have written about that here on our page about grief and health. Grief causes us a great deal of stress and makes it hard to sleep, eat properly or generally look after ourselves. 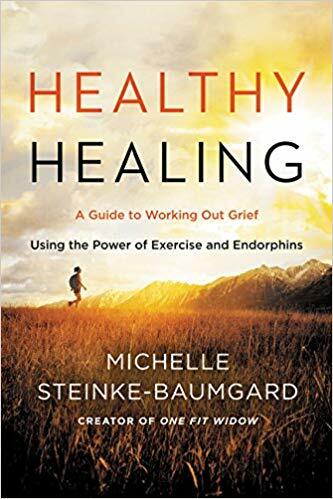 So this book by widow Michelle Steinke-Baumgard is a really useful for helping you look after your body as well as your mind at this difficult time. Her approach is becoming very popular as people realise that exercise can be a powerful tool to lift the spirits and give you a purpose while coping with the loss of a loved one. The number of followers that Michelle has built up on her Facebook page 'One Fit Widow' is a huge testament to her inspirational story. She has done a marvellous job in helping many, many people on their grief journey. This is an excellent factual guide to grieving, written by a highly experienced professional counsellor. But Marty Tousley has also experienced grief herself and knows what she is talking about on a personal as well as professional level. Her book is straight-forward and easy to read, and is well-organised into sections that you can dip into as and when you need them. She explains in clear language what to expect, what reactions are perfectly normal, and how to cope with the roller coaster ride of emotions. There are many myths around grief, and Tousley debunks all the most common ones, and helps you to manage when people are unintentionally unhelpful or downright hurtful. 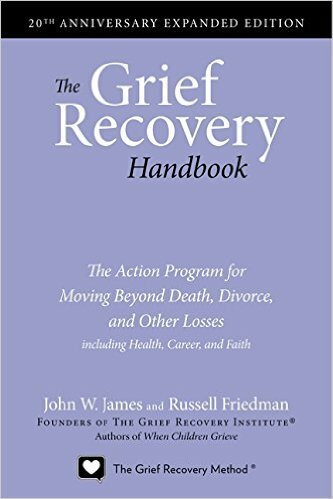 For those who are friends or relatives of the bereaved the book has an excellent section on how to help others cope with grief. Tousley doesn’t shy away from the topic of grieving for our pets, and acknowledges that grief for an animal can be as painful and real as for our human companions. Whatever the cause of our grief, this book is a down to earth, practical and comforting guide, helping us to mourn our loved ones, while learning about ourselves and rebuilding our lives. Grieving Mindfully by Sameet Kumar Ph.D. This is a recommendation that we received from a grief professional colleague of ours. We were very grateful to hear about this approach as we at Grief and Sympathy practice yoga and meditation and believe that it can be very helpful. "The author combines his professional experience as a psychologist with his background in Buddhism, to teach the reader how to go through grief with mindfulness, awareness and compassion. He speaks about finding meaning in the grief and in life after mourning, calling it a transformative process. He not only "talks" about it, he provides mindfulness practices in an easy to understand approach. One does not have to be a Buddhist, to understand or to use these tools and practices. 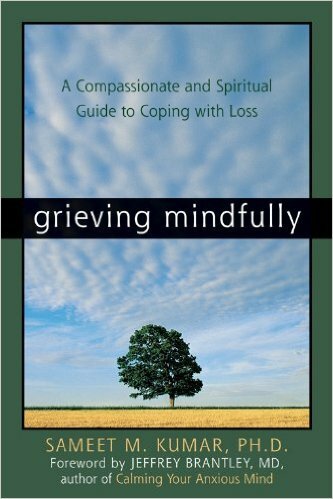 I am a not into Buddhism, but I found the book personally helpful in my own grief journey after my wife died almost 6 years ago and in my professional practice as a Hospice Bereavement Coordinator and grief group facilitator. Some of the material is standard grief and mourning instruction that most of us in the field are very familiar with. The one difference with Kumar's book is the mindfulness element that he introduces, giving the material a new skin and framework." 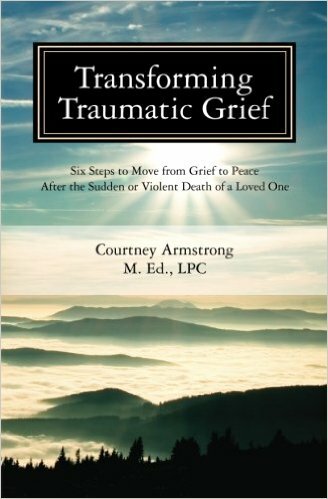 "Courtney Armstrong's 'Transforming Traumatic Grief' was such a soothing book for one of my bereavement clients that she told me she read it extra slowly so it would never end. It includes a multitude of things to try, all totally attainable, even for the most crushed of spirits." Armstrong is a trauma counsellor and has particular experience in helping those who have experienced a loss through sudden death or violence. Although it is often used by therapists, it is also excellent for the lay person, even if the grief you are suffering was not a sudden death. One reader has described it a being full of "comforting nuggets". Another reader has praised how it helped her to reconnect to the living story of her loved one, rather than continually focusing only on the "dying story". This is a classic text by John W James and Russell Friedman which many grief counsellors and guides use. The authors have been working with grievers for over 30 years and are the founders of the Grief Recovery Institute. This edition is a 20th Anniversary updated version and includes many new sections. 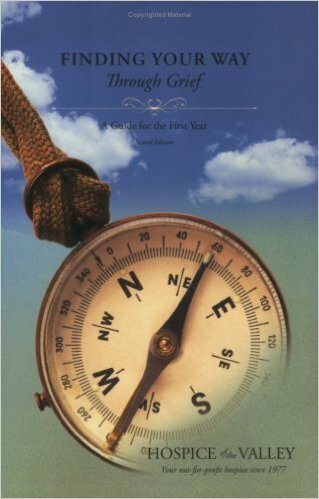 The recommends working with a partner or trusted group which may not be for everyone, but there are lots of people who swear by this book. It seems it is ideal for those who are stuck in the "what if" and "whys" of grief and helps them to move on. But judging by the reviews it is not for everyone. I suggest you make up your own mind. You can read the reviews by clicking on the link under the book. 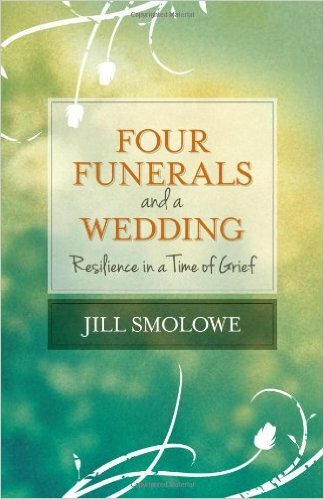 After losing her husband, sister, mother and mother-in-law in rapid succession, American journalist Jill Smolowe found that many of the cultural assumptions about grief neither matched her experience nor offered the kind of support she needed. In this engaging memoir, hailed by Publishers Weekly as “an absolute must-read for people struggling with loss,” Smolowe keeps the focus on what exactly helped her both to tolerate so much sorrow and to move forward with her life. Along the way, she jostles preconceptions about bereavement, debunks the five-stages-of-grief myth, and offers helpful, often counterintuitive coping strategies for absorbing the pain of loss. In the Huffington Post, Dr. Lloyd Sederer, Medical Director of the New York State Office of Mental Health, wrote, “There are so many who would benefit from Smolowe's emotional intelligence, warmth and wisdom.” We agree. If you want a read which touches on the subjects of aging, grief and bereavement in today's world, but which is also a fun, warm-hearted and slightly eccentric portrait of the life of an expat in the tropics, I highly recommend this book. Cat Wheeler is learning how to cope with aging, and the deaths of friends in a completely different culture. 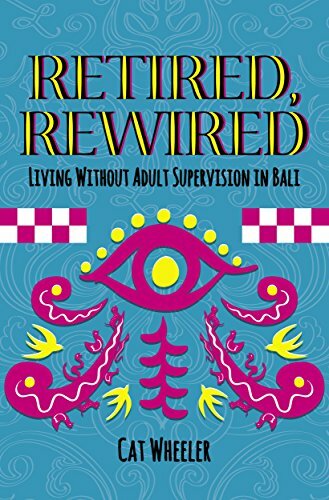 She talks about how she and her friends are dealing with relatives with Alzheimer's and the deaths of family and friends in Bali and also about the challenges of coping with the illness and deaths of family when you are an expat living many miles away. Her chapters on the loss of her sister and father in Canada are particularly moving. Interspersed are delightful vignettes of life in Bali with her philosophical chickens and rescue dogs and the friendly locals who have welcomed her into their community. This book will make you laugh and make you cry, sometimes at the same time. 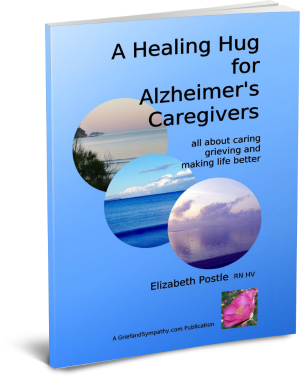 This book was written by the author of this site to help carers cope with the grief of gradually losing a loved one to Alzheimer's as well as how to manage the day to day practicalities of caregiving. 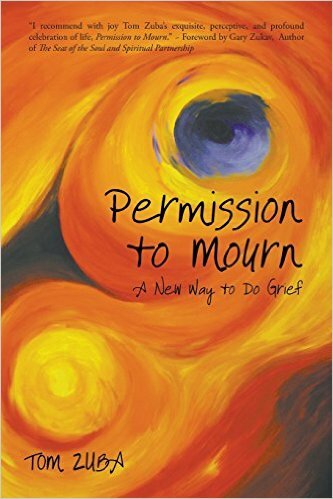 Do you have a helpful book on grief to recommend? If you have read a book which has given you comfort or helped you in your grief, we'd love to hear about it. Whether it was autobigraphical, a text book or a book of poetry, why not tell us about it here? Don't forget to give us the full title and author of the book and tell us why you found it useful. Many thanks for sharing with us.